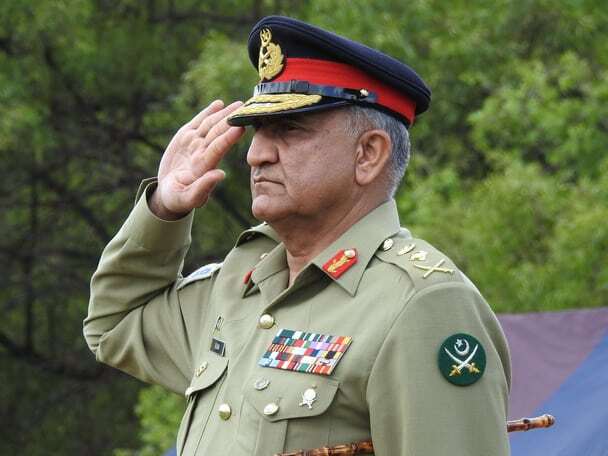 Pakistan’s Chief of Army Staff (COAS) General Qamar Javed Bajwa is currently visiting South Africa where he is meeting with South African Army officials and defence company representatives. Bajwa was welcomed by Chief of the South African Army, Lieutenant General Lindile Yam, at a parade on 28 January. Yam said Pakistan and South Africa enjoy strong defence ties, especially after defence minister Nosiviwe Mapisa-Nqakula visited Pakistan to sign a memorandum of understanding (MoU) for cooperation in the defence and defence production sectors in March 2017. Yam also emphasised that Pakistan and South Africa see the exchange of military students, and Pakistan participates in the Africa Aerospace and Defence exhibition outside Pretoria. The Pakistani Army has a student attending the Staff College in South Africa while Pakistan has accepted South African soldiers for staff college training. Pakistan has also trained some South African personnel in special forces roles. Yam said around 30-40 South African commanders have been trained in Pakistan. This has included counter-terrorism training. “South Africa has a good technological base we want to benefit from,” Bajwa said, with defence companies having good arms and ammunition capabilities. Bajwa arrived on 26 January and has already visited Denel and Rheinmetall Denel Munition (RDM). He said Pakistan has procured ammunition from RDM and is looking to acquire more. Pakistan is also looking to acquire 155 mm artillery – Denel Land Systems in 2016 promoted its T5-52 self-propelled howitzer at the IDEAS defence show in Karachi in response to Pakistan Army requirements. Pakistan’s interest in the T5-52 comes after India in mid-2016 approved the roughly $750 million sale of 145 M-777 howitzers from BAE Systems in the United States. Although Pakistan has in the last decade bought 115 M109A5s from the United States, it is on the lookout for additional artillery. Yam said a Pakistan Army delegation was recently in South Africa and a South African delegation has visited Pakistan. He said there are exploratory discussions relating to artillery while Bajwa added that negotiations are ongoing. “Despite the distance we have, our thinking and understanding of world affairs is quite similar,” Bajwa said. Both South Africa and Pakistan are non-aligned and have similar foreign policy outlooks. “The opportunities are immense in military-to-military cooperation,” Bajwa said. Bajwa said Pakistan is involved in Africa, with 5 000 troops deployed on peacekeeping missions on the continent in addition to observers in Western Sahara. The Pakistan Navy also takes part in the Multinational Combined Task Force 151 anti-piracy effort in the Indian Ocean. Bajwa himself has served as a brigadier in the UN mission in the Democratic Republic of Congo and as a brigade commander.